Cavity door sliders can be installed where bathroom space is limited. When we already have removed wall sheeting, and exposed wall frames, cavity sliding doors can be installed within the wall. This happens prior to sheeting of walls. 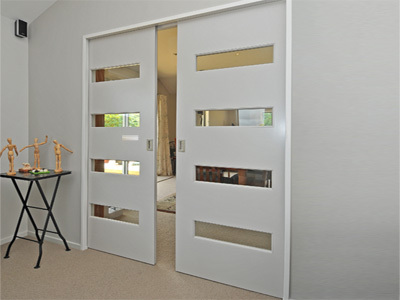 All cavity slider doors can be fitted with a specific privacy lock. Cavity sliders make the bathroom look more spacious too.